What Is the Recovery Time From Arthroscopic Shoulder Surgery? Arthroscopic shoulder surgery is typically performed on rotator cuff injuries such as tendinitis and tears, some of which may be major -- the tendon has torn totally from the bone. While minimally invasive as compared to traditional shoulder surgery, the recovery time is the similar for both procedures. Specific recovery times depend on your doctor's instructions following surgery. 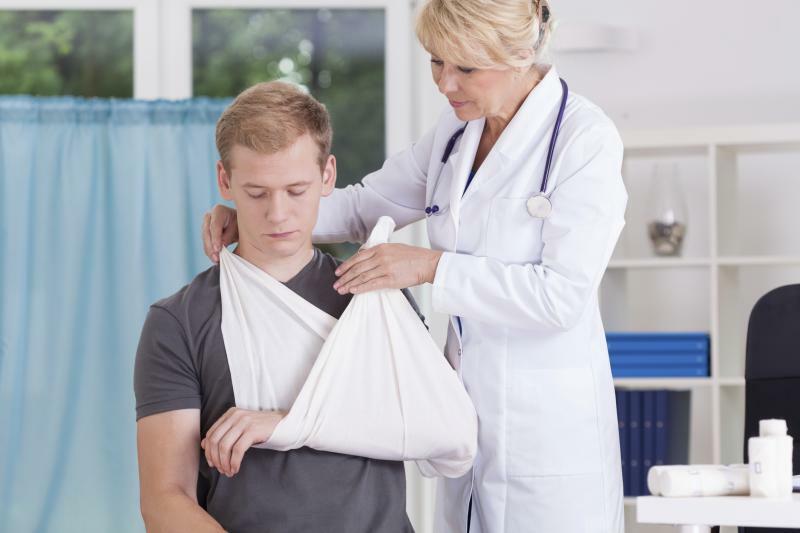 After arthroscopic shoulder surgery, your arm will immobilized in a sling for 2 to 4 weeks, with movement restricted to your elbow and wrist. You may be able to dangle your arm and use your body to swing the arm back and forth -- an exercise called "pendulums." Active movement of your shoulder during this period could damage your repaired tendons. One week after arthroscopic shoulder surgery, you will likely begin physical therapy. Your therapist will perform passive shoulder exercises, moving your arm while you are lying down. These exercises help prevent your shoulder joint from tightening while your tendons heal. Passive exercises are typically performed for 4 weeks, depending on your surgeon's instructions. After 4 to 6 weeks, you will be allowed to actively move your shoulder. At first, you may need to use your opposite hand to help lift your arm, until you gain enough strength to lift it by itself. Around 8 weeks after surgery, you will begin strengthening exercises using elastic bands and free weights. The last stage of recovery begins 3 to 4 months after surgery. Strengthening exercises are progressed to include push-ups, throwing and sports-specific training. Depending on your job requirements, your surgeon may release you back to work.